Brace yourself for easily the single coolest ever Blu-ray box set package ever in the long-standing history of the zombie pop culture: The Walking Dead: The Complete Second Season Limited Edition Blu-ray Box Set! 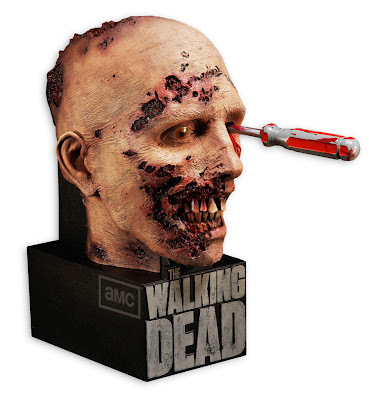 Before we move on to the subject matter, today is August 31st, 2012, marking the Third Anniversary of The Daily Zombies since our inception on August 31st, 2009. As per our time-honored tradition (Year One, Year Two), we are supposed to act all nostalgic and do a Year Three Retrospective entry to reminisce the past year. However, due to some unforeseen circumstances, we will be rolling that out later. 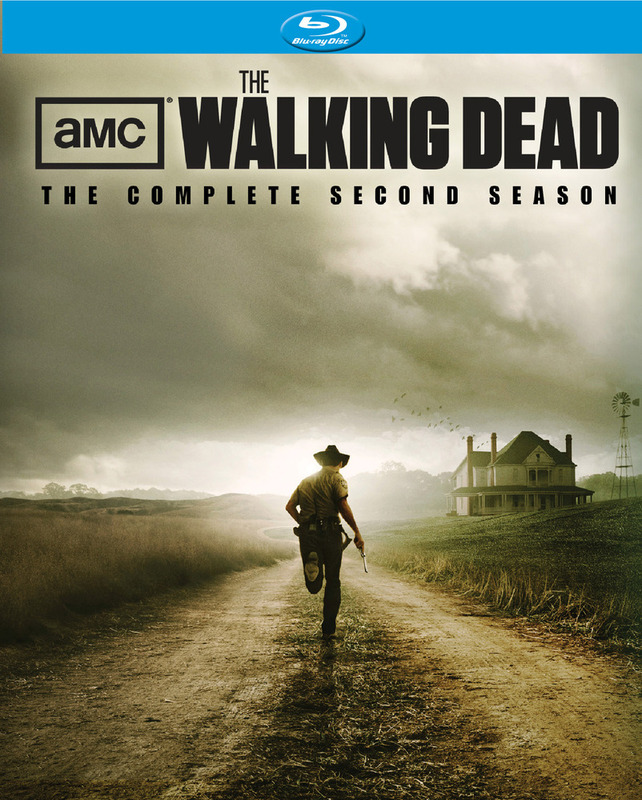 AMC's live-action TV adaptation of The Walking Dead has been a phenomenal success in many ways. 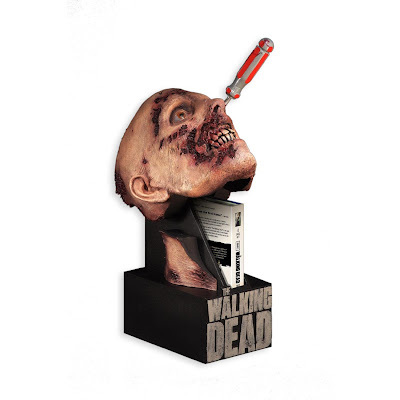 This week, the critically acclaimed TV series add yet another honor to its gallery of accolades: Bar none, the single most awesome Blu-ray box set package ever in the long-standing history of the zombie pop culture or perhaps in all of DVD/Blu-ray special packages history. 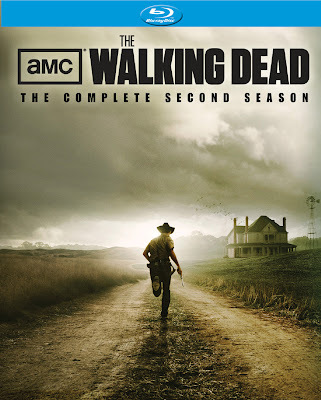 Now priced at $64.98 over at Amazon (accordingly, that's a cool 35% discount with $35.01 off already), you can bring home "The Walking Dead: The Complete Second Season Limited Edition Blu-ray Box Set" with not just the 4-disc Blu-ray box set collecting the entire Season Two of the acclaimed TV series, the audio commentaries, webisodes, deleted scenes and other featurettes we have come to expect from such limited editions but also an awe-inspiring zombie statue (created by McFarlane Toys and designed by Greg Nicotero) that serves as the box of the set. With no further ado, hit the jump to check out the images of the box set. 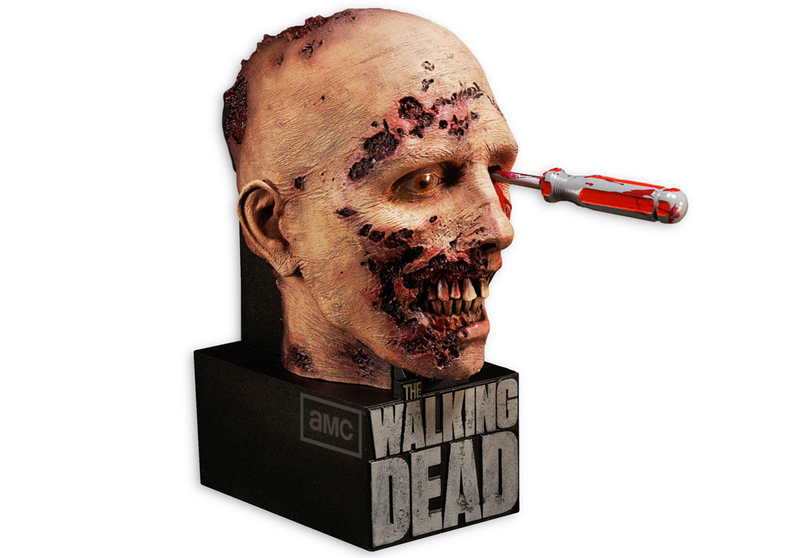 For those who are wondering if the screwdriver poked into the eye serves any purpose at all, it is actually the device to unlock the plastic latch to release the discs. Yes, my undead hordes... This is indeed the Undead gift of the year. For those only interested in the normal editions, here's the cover of the set.